I am naturally curious about many things and as this blog is chronicle of my daily interest in wine, rather than a focused critique, I found myself purchasing three wines from Albania, New Mexico, and Texas. I do know that I might be better off at times purchasing my favorite $13 Cotes du Rhone but my curiosity is driving. 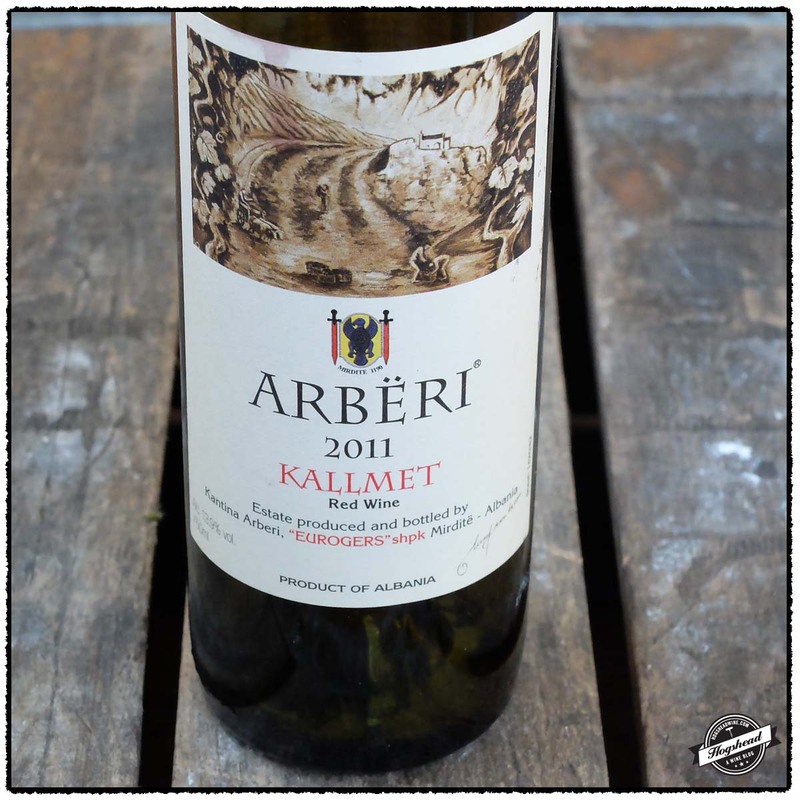 Of the three wines in this post the 2011 Kantina Arbëri, Kallmet, Mirdite, Albania has the most potential. I liked the dark fruit, tar, and minerals. 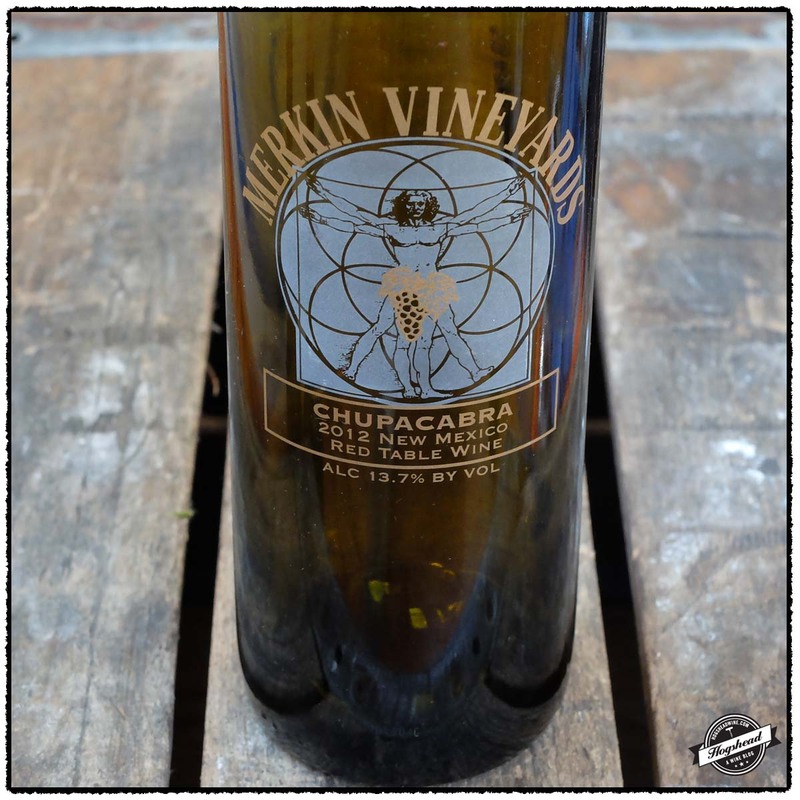 The 2012 Caduceus Cellars, Merkin Vineyards, Chupacabra, New Mexico is another effort from Maynard James Keenan’s Arizona based Caduceus Cellar. The firm fruit, acidity, and structure all go hand in hand but it needs some short-term aging to open up. I do not know how it will develop but it tastes like it was intended too. 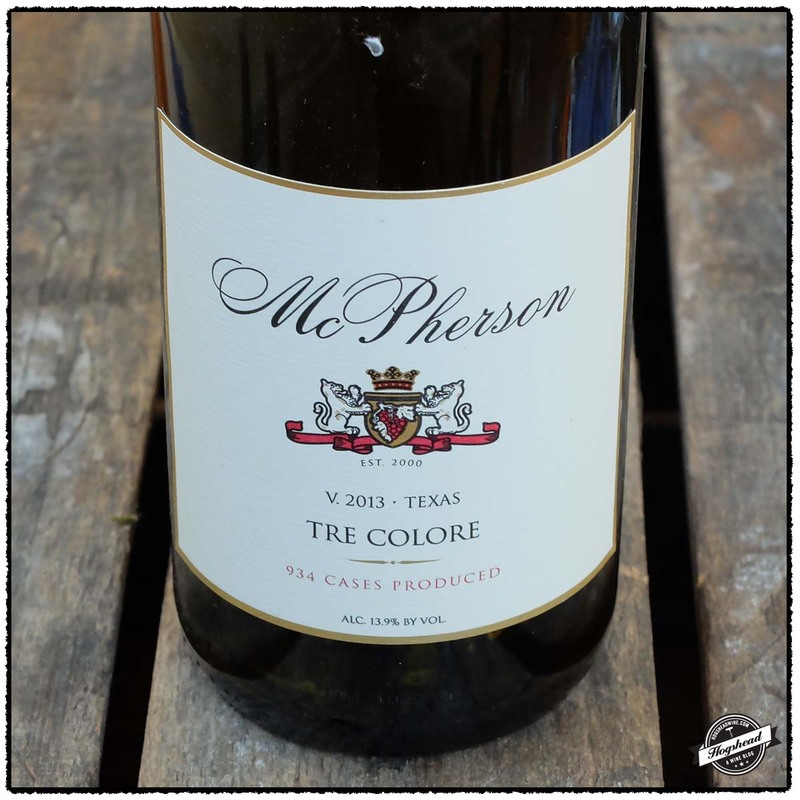 Finally, the 2013 McPherson, Tre Colore, Texas keeps with previous vintages by being a soft wine to drink right away. The Kantina Arbëri was purchased at MacArthur Beverages and the other wines at Sherry’s Wine and Spirits. Imported by Winebow. This wine is 100% Kallmet. Alcohol 13.9%. The nose bore dark fruit and tar. The flavors in the mouth were black, fresh and dry with both a leather note and earthy hint. The wine became lively towards the finish with noticeable drying structure. With air the wine develop black minerals, texture, and a little tart flavor that went with the salivating acidity. An enjoyable wine but in the end the structure might soon overpower the fresh, black fruit. ** Now-2017. This wine is a blend of 49% Carignan, 40% Mourvedre, and 11% Viognier that was fermented and aged in stainless steel. Alcohol 13.9%. The wine had a rounder mouthfeel with initial flavors of tart red and black fruit. The flavors became sweeter with integrated acidity and minimal structure. What structure there was became noticeable in the back end. * Now. 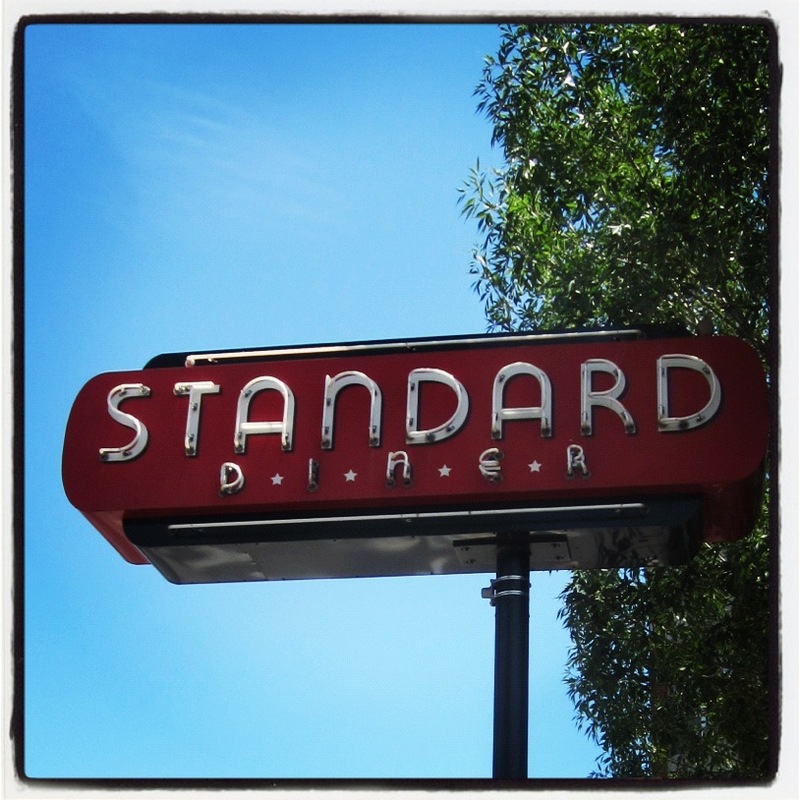 After watching a Guy Fieri video for Diners, Drive-ins, and Dives we decided to stop by the Standard Diner on Central for our last meal. Of course we had the Country Fried Tuna amongst others dishes. Having just finished spitting some dozen wines at Gruet Winery (more on that later) I was in the mood for a glass of wine. 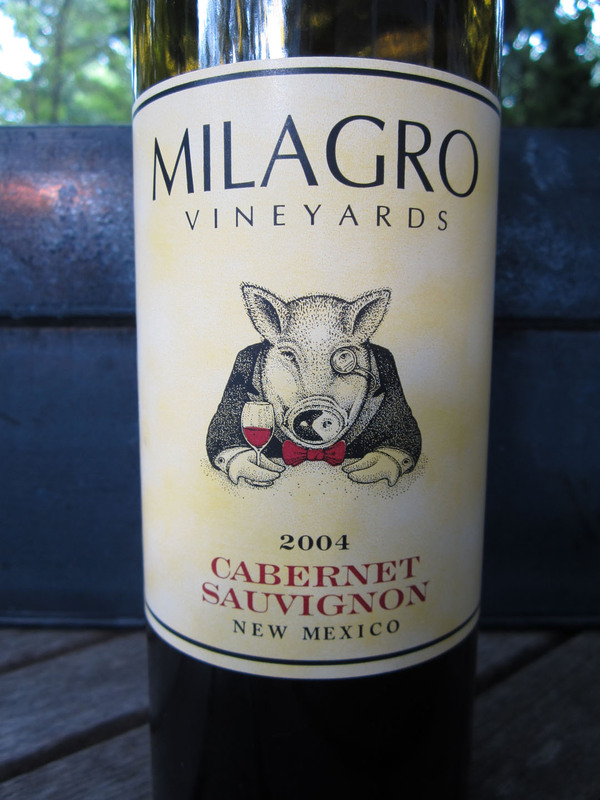 I did not drink much New Mexican wine this trip so I decided to give a glass from Milagro Vineyards a go. I ordered a glass of Zinfandel from the 2007 vintage but ended up with the 2009. Perhaps a bit too raisined for my preference, it would none the less be perfect with one of the hamburgers. I have not rated the wine since I do not know when it was opened. The color was light to medium garnet-ruby. The light+ nose was of dark, pruned fruit. In the mouth there were darker fruit flavors in this medium bodied wine. There was some concentration and acidity to carry things along. The raisin-like flavors expanded in the finish where things tightened up a bit. There was enough acidity in the end to prick things up a bit. There were medium, ripe-ish tannins. I would drink this now or over the short-term. Dominating the skyline east of Albuquerque are the Sandia Mountains. 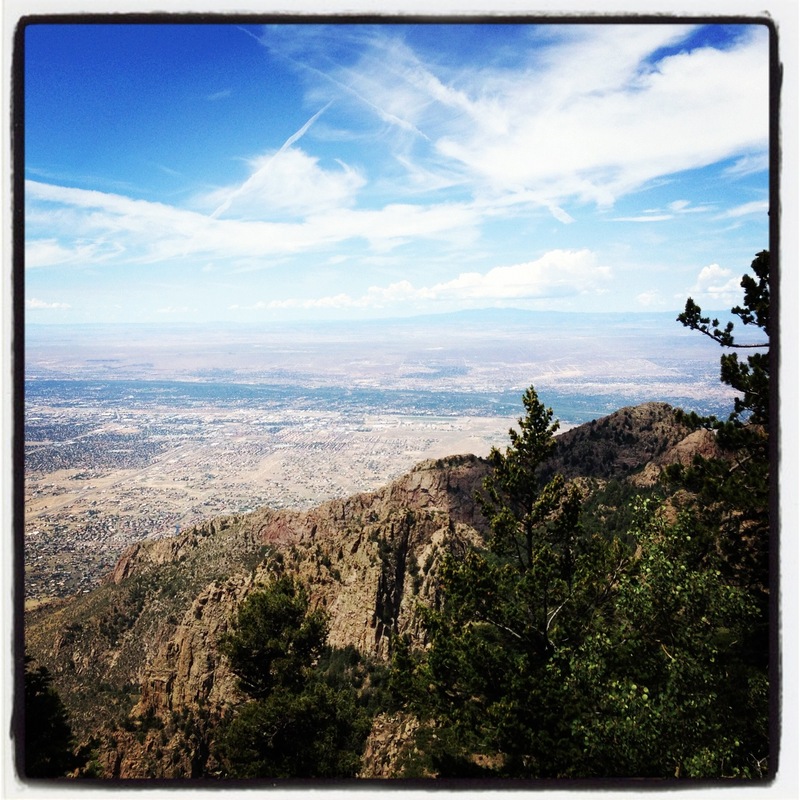 It is possible to take the Sandia Peak Tramway, recently the world’s second longest, up to the peak. The 15 minute ride takes one from 6,559 feet in elevation up to 10,378 feet. With temperatures averaging 20 F cooler than the city it is an ideal location to escape the summer’s heat for a wine tasting. While my record-breaking wine tasting occurred at 30,400 feet it was of a generic wine in cramped quarters. This time I tried a local wine in a relaxing, wooded setting. 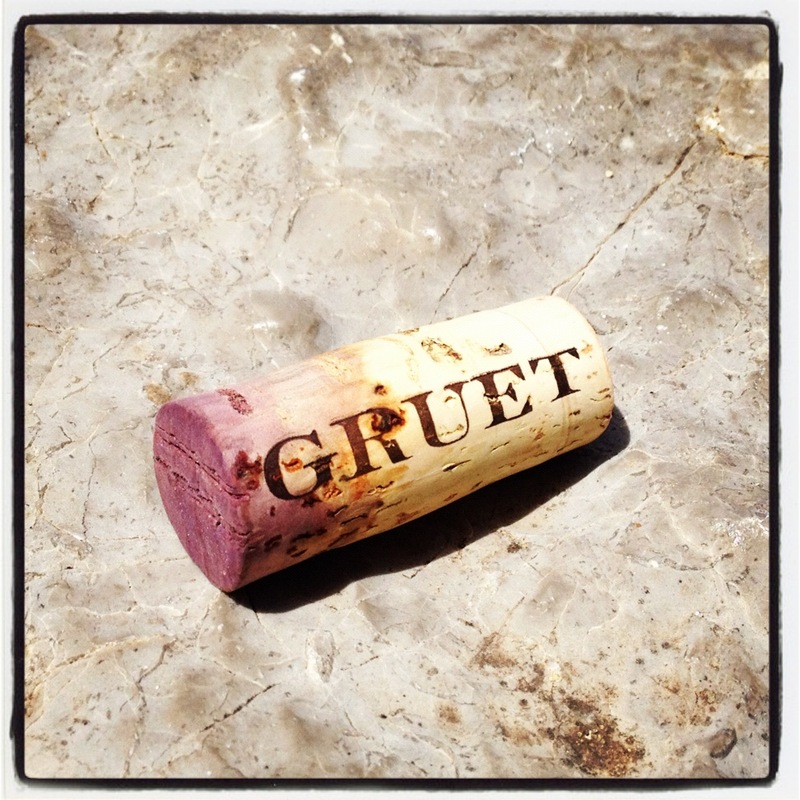 I first drank the 2007 Gruet Pinot last summer and found it surprisingly good. Through my own ignorance I had not realized that Gruet Winery produced still wines. 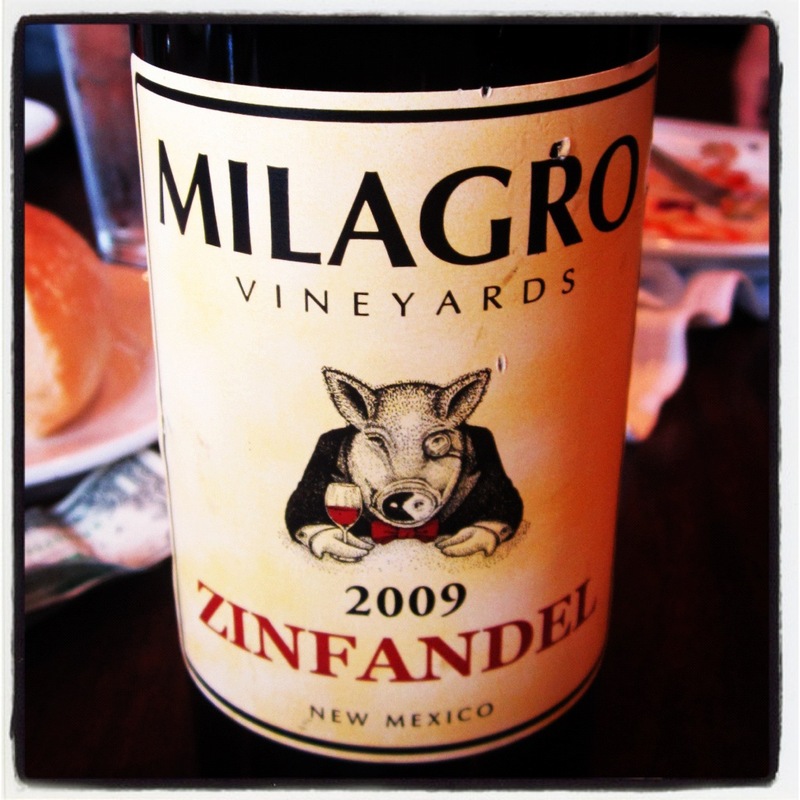 In my limited experience with New Mexican wine it is probably the best, most universally appealing wine I have tasted. 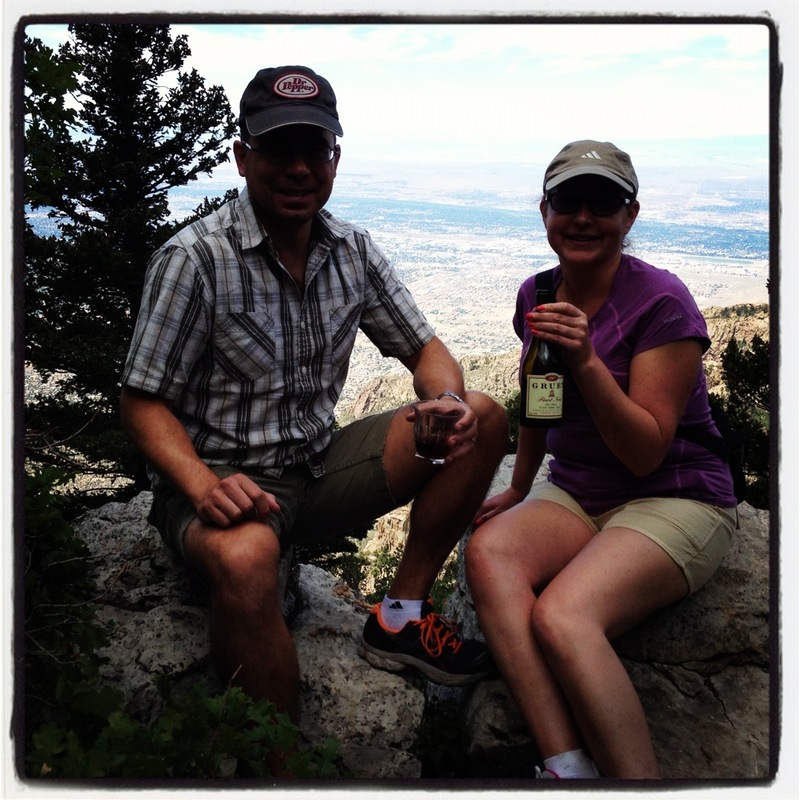 If you are traveling to New Mexico it is certainly worth purchasing a bottle. 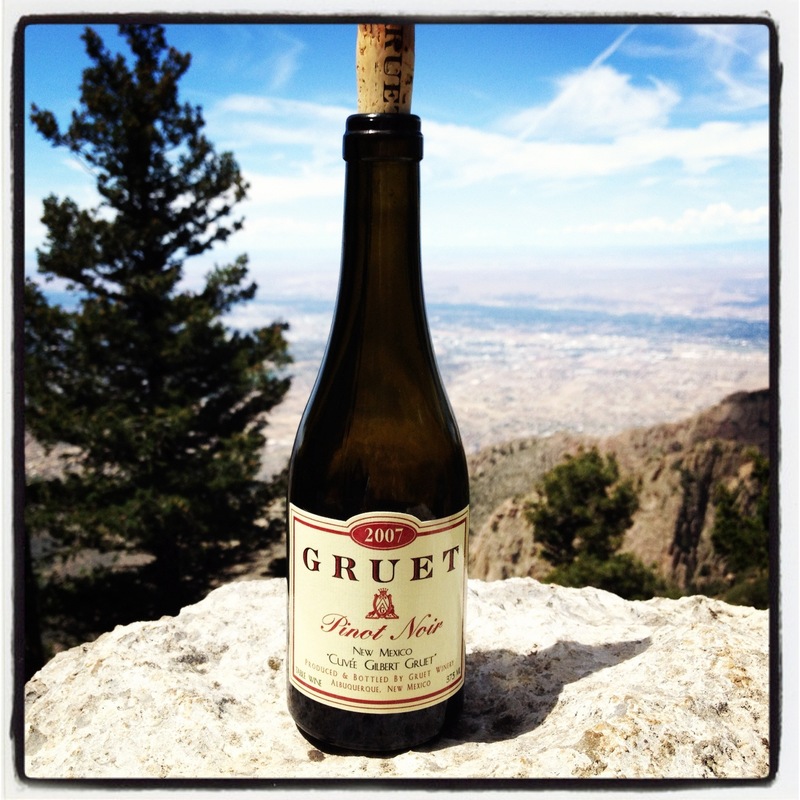 You may find a selection of Gruet wines at local wine stores and Whole Foods Market. And if you are staying in Albuquerque you may visit the winery just north of downtown. The color was a light garnet rose. The light+ nose revealed dry aromas with a ripe, red fruit core. 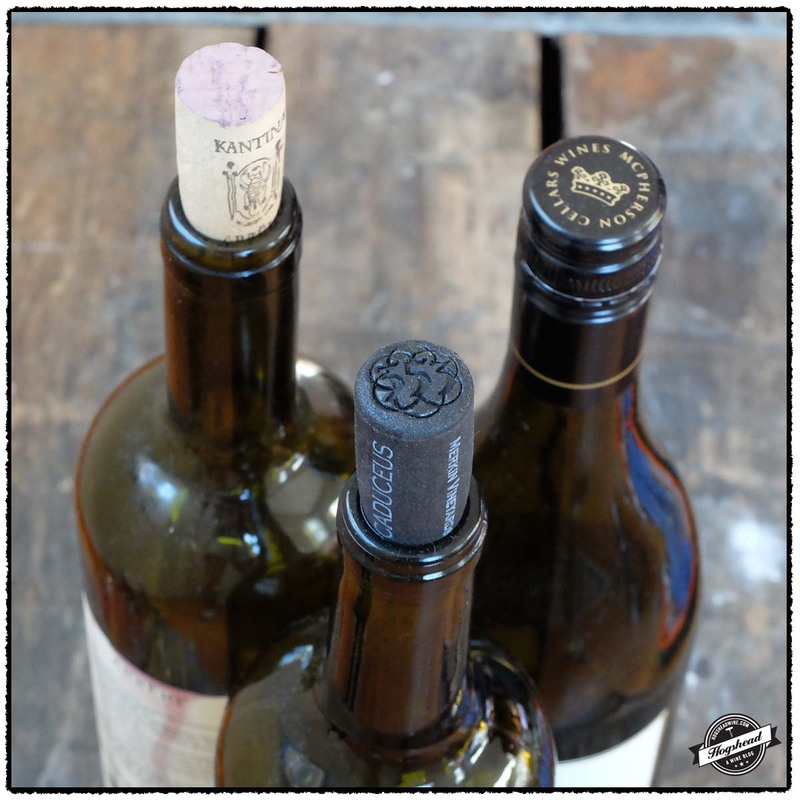 The light+ flavors are of dry cherry, dusty, mature notes, and wood box. There was a lipsticky finish followed by an aftertaste of ripe tannins which leave sweet spices on the lips and tongue. At its peak. ** Now-2013. I have not been purposefully cellared any New Mexican wines. Indeed these bottles are the last two southwest wines from our basement. I do not know of a vintage chart for New Mexico nor did I readily find older vintages for sale on our trip. So this is just a relative peek at ageability of these wines. 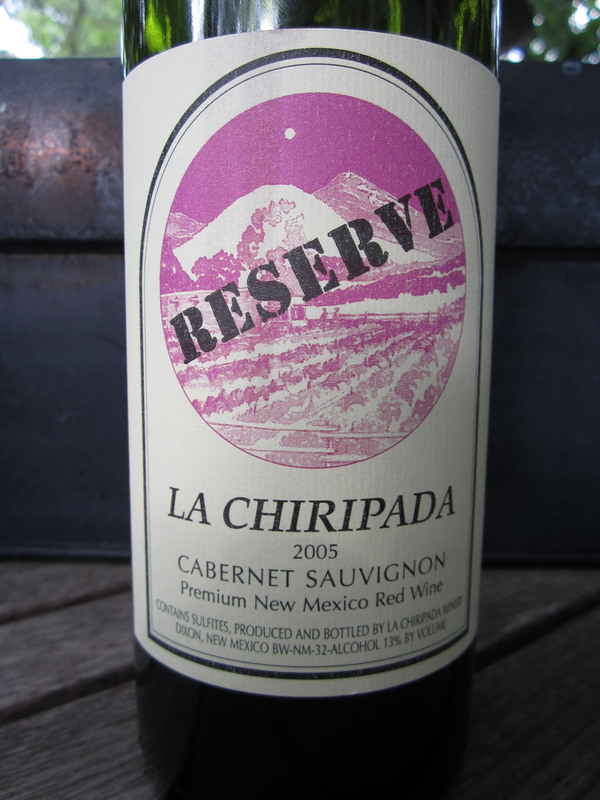 La Chiripada recently started offering their library wines for sale. So I jumped at the opportunity to take one home. The 2005 Cabernet Sauvignon Reserve was recommended and set me back $37. 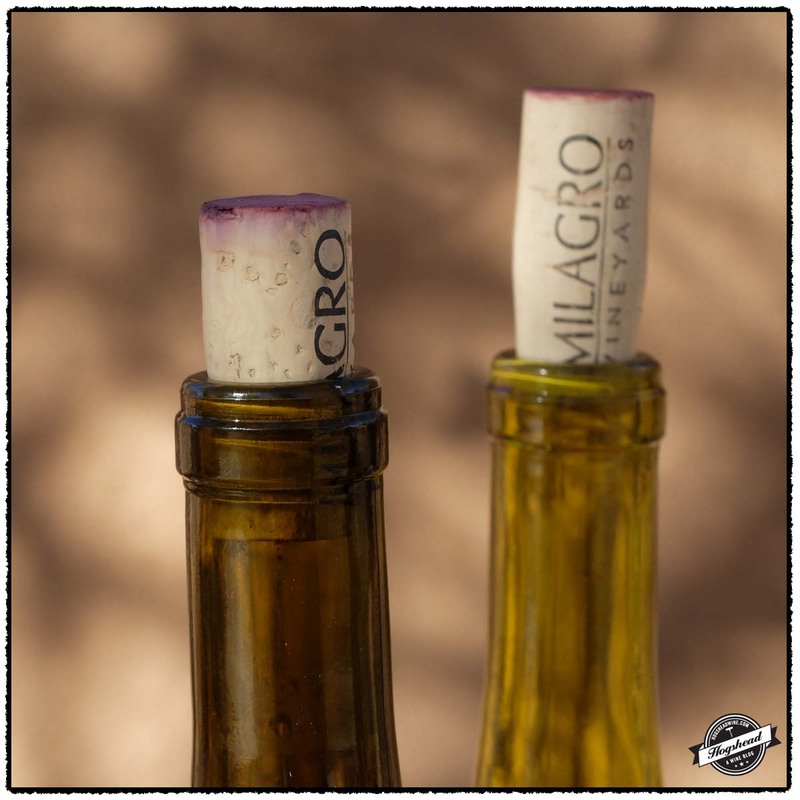 The 2004 Milagro Cabernet Sauvignon was a gift from several years ago. I had completely forgotten about that wine until I discovered it this past Friday. I was gathering empty bottles to photograph for my Old Tasting Notes when I found it standing up amongst the empties. Both of these wines have easily survived at this point. The La Chiripada is a richer, upfront style. It should last several more years but I do not know if it will develop more complexity or if the alcohol will become unbalanced. If I had several bottles I would check on it again in one year for the sake of research. The Milagro looked much older than it tasted, which is a little troubling. While there is enough acidity to keep it lively for several more years, it is not a complex wine and I would recommend drinking it now. In terms of price, I would not recommend running out to buy these wines at this price point. There are many other tasty wines I would spend our money on. But for intellectual curiosity, they certainly are worth it. 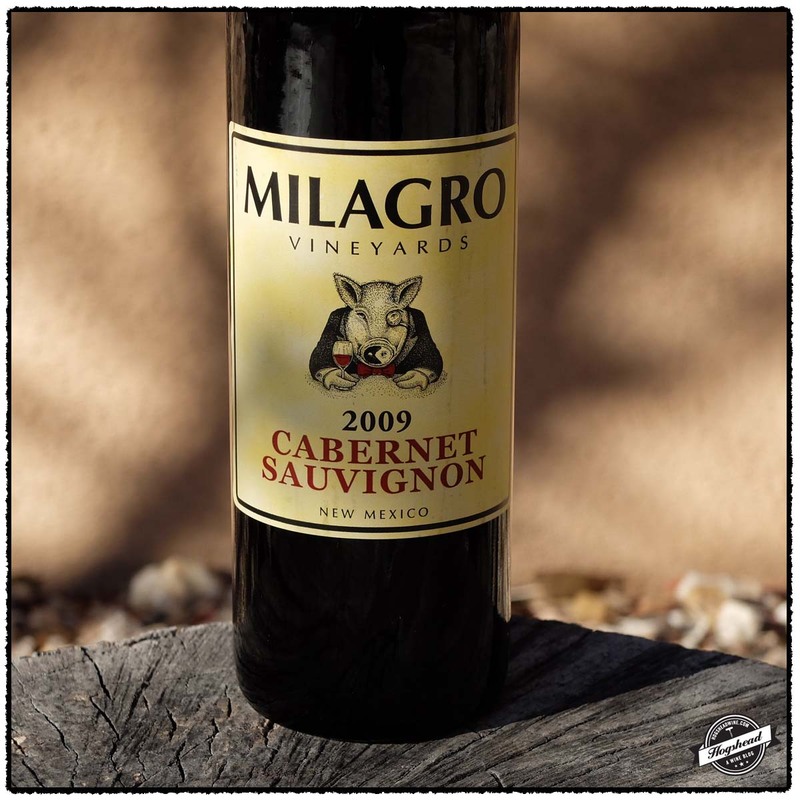 This wine is 100% Cabernet Sauvignon from the Mimbres Valley. It was vinified with a yeast strain that enhances the berry flavors. The free-run juice was aged for 22 months in new European oak. In the glass the wine is a medium garnet color. It reveals richer, riper fruit but a bit of heat comes out. There are tart red berries, some spices, and puckering acidity. On the second night it show prominent Eucalyptus-like flavors. ** Now-2014. This wine was also a medium garnet color but with more brick hints making it look older than the La Chiripada. There were hard black fruits and flavors of blackcurrant. The fruit is immediately tart and acidic with a very minimal amount of light-textured tannins. There is a little perfume in the finish. With air it puts on weight. While it has aged well, there is not much complexity. In the end there are enjoyable dark, blue fruits with mouth-watering acidity. ** Now-2015. 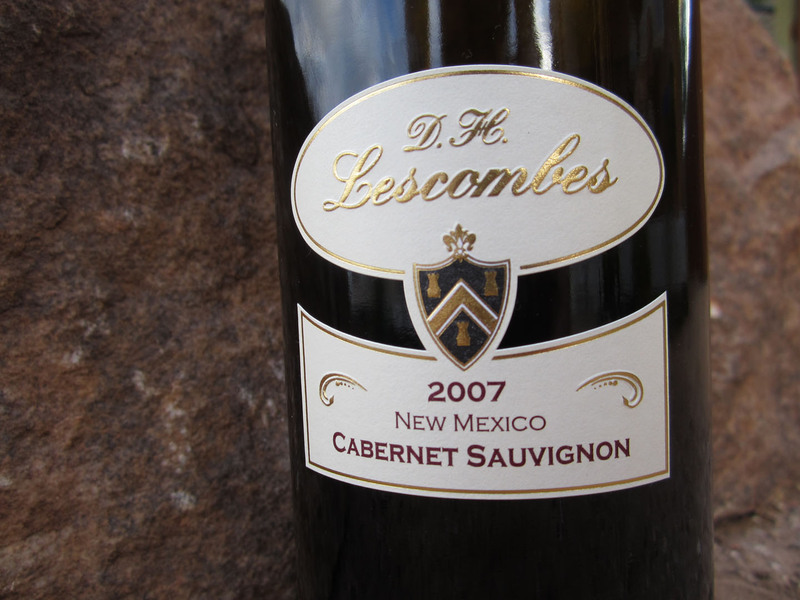 D. H. Lescombes is just one of eight labels of the large Southwest Wines company. Southwest Wines was founded in the late 1960s. 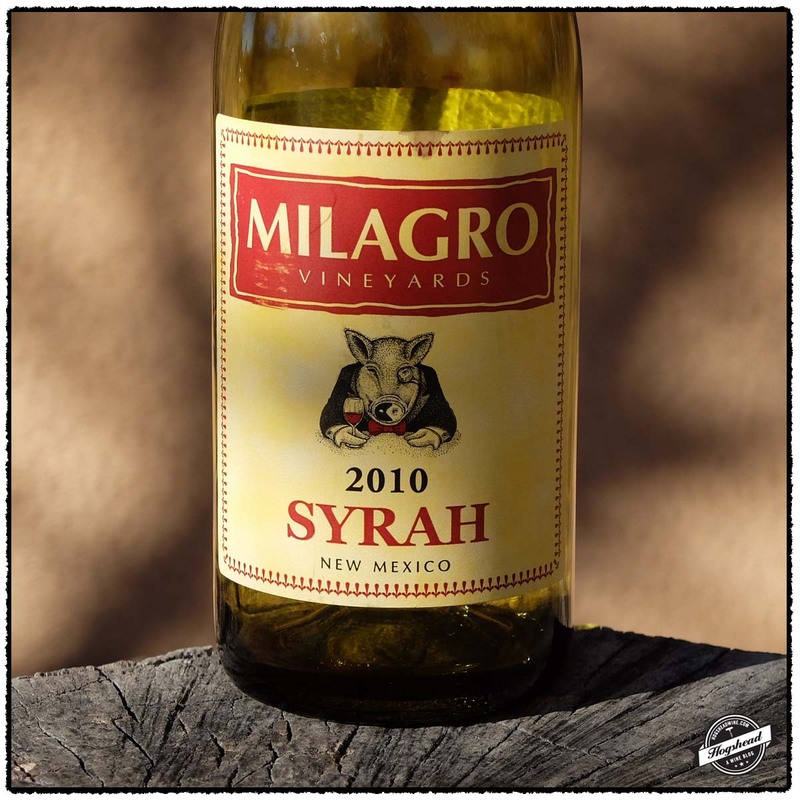 This company has vineyards in Deming, New Mexico along with a winery, trucking company, distribution company, and several bistros. The grapes for this wine come from 180 acres of vineyards located at 4500 feet. Additional vines are being planted so that the acreage will reach 220 by the end of the year. The soils are sandy and loamy. This is a modern operation. The harvest takes place between mid-August and late September. The vast majority of the grapes are machine harvested, coaxed by a pneumatic press, fermented in temperature controlled stainless steel, then aged in oak barrels. The wines are filtered twice before bottling. The bottling line is also used for other wineries in New Mexico, Texas, and Arizona and handles over 200,000 cases per year. 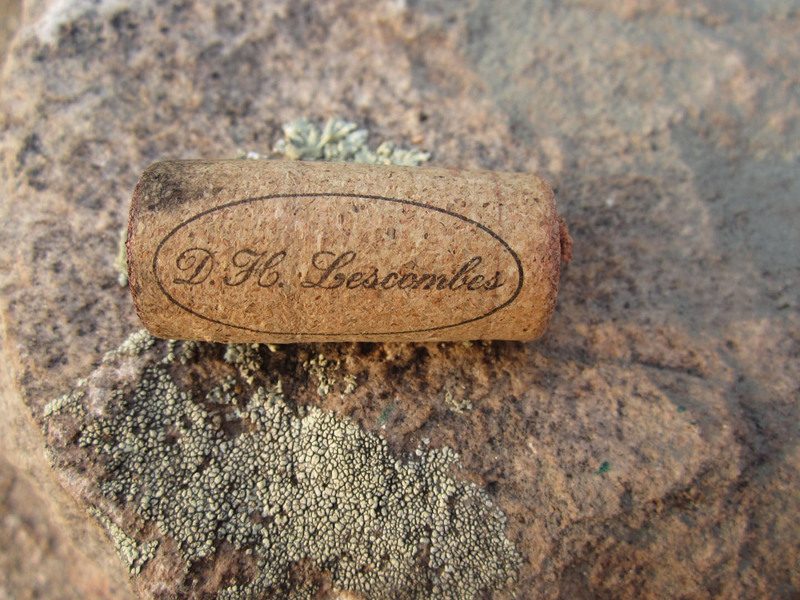 The D.H. Lescombes wines are named after Danielle and Herve Lescombes and are intended to be the high-end label. The wines produced under this label are made in a traditional French style. This bottle was purchased for $22-$23 from Whole Foods. This is completely drinkable wine that would appeal to many and certainly worth trying. I did not notice the relatively high alcohol, perhaps do to the bracing acidity. I do wish the oak was toned down a notch. This wine is 100% Cabernet Sauvignon that was aged for 12-18 months in French oak barrels. It is fairly strong at 15% ABV. This is a medium ruby color. There are bright red fruit flavors with bracing acidity, some spices, and red currants. There are some blue fruits in the finish then a tart red flavor as the aftertaste takes over. On the subsequent night there are grippy, tart, red fruits, a fair amount of weight, and new oak flavors that are a bit green. ** Now-2014.